The city is targeting 45 properties throughout the city for foreclosure action through the In Rem Tax Foreclosure Act. Council members gave mayor Jose “Joey” Torres’ administration the green-light to file foreclosure actions against the properties. The properties being targeted owe the city $3.38 million in unpaid taxes, demolition costs, and interest on owed taxes, according to city records. “They have been carried on the books for so long that the last recourse is to foreclose,” said Torres to the council. He said sometimes, when the city threatens to foreclose, the owners of the properties come in and pay owed taxes. “We’re trying to move all the deadwood,” he said. Torres said the “deadbeat” owners of the properties, who are not paying taxes, force the city to budget large sums in reserve for uncollected taxes, a line item in the municipal budget to make up for shortfalls in revenue resulting from unpaid taxes. The mayor said once the properties have gone through foreclosure the city will sell them through a public auction. “Have we budgeted for the upkeep of these properties?” asked Kenneth Morris, councilman at-large. The properties on the list have failed to fetch buyers in tax lien sales. Majority of them are in bad shape. For example, a property on West Broadway (pictured) is badly damaged. The mayor responded the city’s facilities division has funds for the purpose. There’s no extra funds for the upkeep of the 45 properties once the city successfully forecloses on them, according to officials. Morris suggested developing a line item in the budget to handle the upkeep of the properties. Torres said he may even consider auctioning off the rights to foreclose on the properties to developers to speed up the process to make them taxpaying parcels. He said the foreclosures will take a year. Law director Domenick Stampone said that may be overly optimistic. Michael Jackson, 1st Ward councilman, said foreclosing on the properties could take 3-4 years. If an owner is facing bankruptcy that could cause even further delays, said Jackson. Luis Velez, 5th Ward councilman, inquired whether the post office box addresses on some of the properties will present a problem to deliver legal notices. 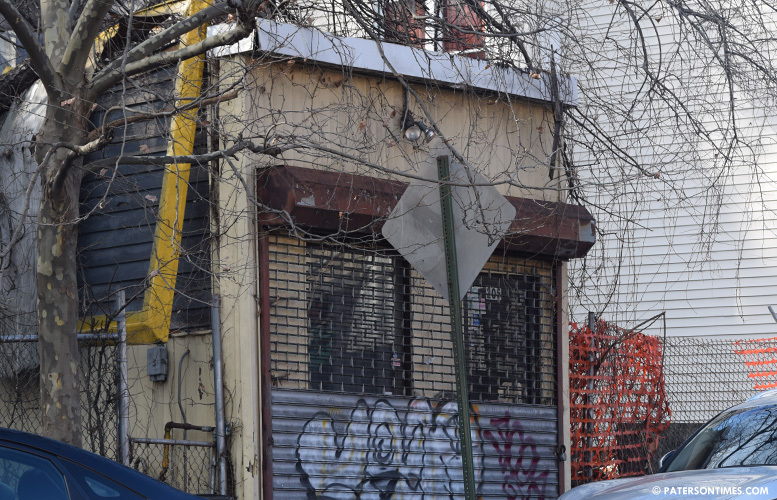 Stampone said the city will expend efforts to send the required notices to the owners. If the city fails to get the notices to the owners it will publish them in the newspapers to meet the needed legal requirements, said Stampone. The resolution to foreclose on the 45 properties was approved in a 7-1 vote on December 20th, 2016. Jackson voted against the measure. Jackson asked Stampone whether the city’s in-house lawyers will handle the foreclosures. Stampone said the city has outside counsel for the purpose. Jackson suggested hiring a part-time attorney to handle the legal work for foreclosing. Hey ive got an idea! How about we take all the properties, create a contract with companies to repair all properties to livibale conditions, ans then create a service repair team to actually maintain all paterson owned properties as the city rents out these properties, to make $. Yeah property taxes are evaded, but sell some properties to families who actually want to purchase the renovated home to live there.. and rent the rest. Its a much better alternative solution to making money than letting properties sit there empty, vacant, and used as trap houses.